The American Racing Torq Thrust D Wheel is a timeless classic that just looks awesome on virtually any 1960s or early 1970s car. These are really nice one piece cast wheels with a satin machined rim. The black painted spokes just give these wheels a really cool look. 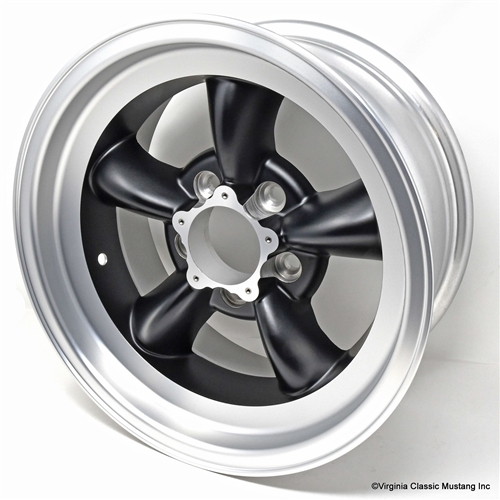 15 x 7 size with a 3.75 inch backspace for a great fit on any Mustang. Comes with factory center cap and screws. Looks great without the center cap...That's how they were run on the early GT350 Shelby race cars.